After almost a year of rumors and whispers, Sony has finally revealed the worst kept secret in gaming: The PlayStation 4 is on the way. At a lavish press event in New York, the company showed off its next-generation console, a system it hopes will lure people away not only from competing machines from Microsoft and Nintendo, but from smart phones, tablets and other new gaming platforms. It will be released this holiday season, though the company didn’t announce a price. While the PS4 will feature improved graphical performance, Sony plans to use more than flashy hardware to appease finicky gamers. The system will highlight social aspects, such as the ability to share gaming footage. It will include a new version of the company’s classic DualShock game controller, now featuring a touchpad, motion controls, and a built-in ‘share’ button. Other features to look forward to include much quicker startup times, the ability to browse live gameplay videos of your friends and a partnership with Facebook and UStream that lets people play with their real world friends, as well as people they've met in games. The system will also feature a personalization option, along the same lines as Apple's Genius, that will download and suggest games it believes you will enjoy. "As the system learns your likes and dislikes, ... you'll discover content preloaded and ready to go on your console," said Mark Cerny, lead system architect of PS4. "Our long-term vision is to reduce download times to zero." The PS4 will also boast a robust, cloud-enabled network that let users sample games before purchase without waiting to download. “What we’re creating is the fastest most powerful network for gaming in the world,” said Gaikai’s David Perry. Sony is hoping to regain its king of the hill status in the gaming world with the PS4. The PlayStation 3, while nowhere close to a failure, has failed to live up to its predecessor's numbers. Research firm IDC estimates life to date worldwide sales currently stand at around 77 million. "This was a very disappointing cycle for them," says Eric Handler, senior equity analyst of MKM Partners. "They definitely lost market share. … Their whole marketing message at the time was 'we're the most powerful machine' but what the Wii showed us was … people want to buy a console that has the most entertainment value. Machine strength isn't the Holy Grail. So they've got an opportunity here to show they have an interesting, compelling product." The system could also breathe new life into the PS Vita. Sony said its goal is to make all PS4 games transferable to the portable gaming system, letting players play when and where they want - even when other family members are using the TV. 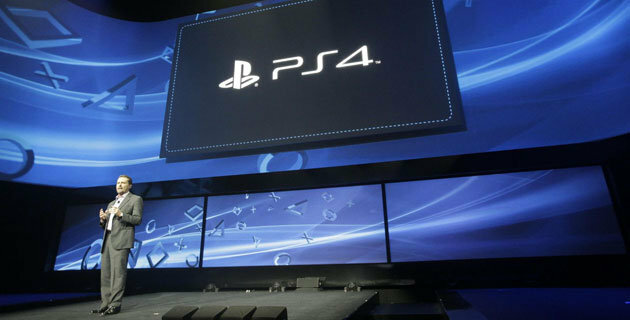 "PlayStation 4 is designed to be a highly integrated platform," said Cerny.